Please note this unit requires a 240/120 volt 350 watt (minimum) transformer. A must-have setup to enable your bead roller to become an easy one-man operation without hand cranking. 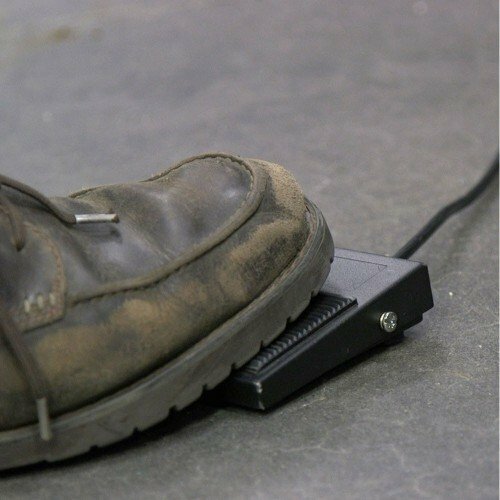 Perfect for custom sheet metal work, with electric power and foot pedal control. 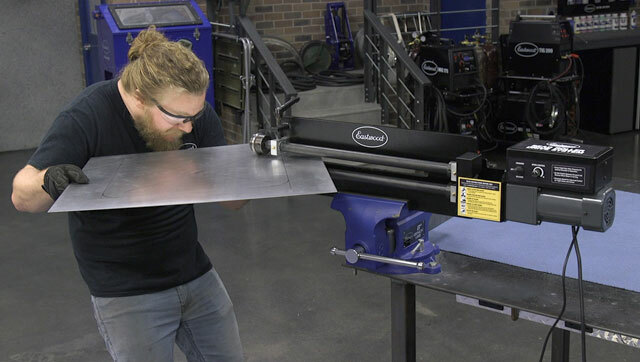 With the Eastwood Bead Roller Power Drive System, it no longer takes two people to fabricate a metal panel. The Drive System features a 3 Position Toggle Switch with an infinitely variable Speed Controller and Foot Switch. These features provide convenient one-person operate. 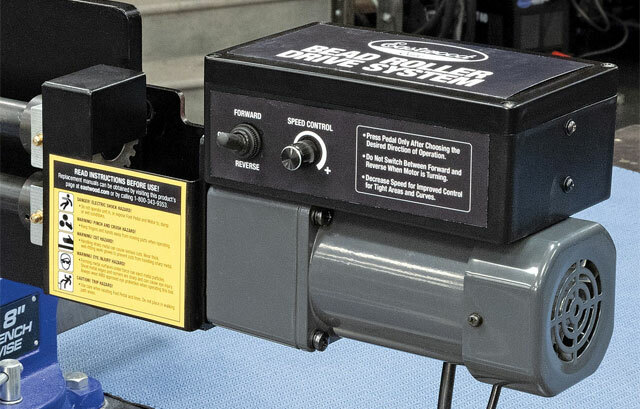 The Eastwood Bead Roller Drive System features a powerful 1.65-amp motor with an integral 75:1 gear reduction that enables you to easily forms ½” beads in 18-gauge steel. Unlike other motors on the market, the Eastwood Drive System has a durable industrial style motor, which gives you more power then you need. Eastwood designed this power drive system to fit all Eastwood Bead Rollers and others with a plate steel frame and 50mm bearing block bolt pattern. Installation takes less than 30 minutes. 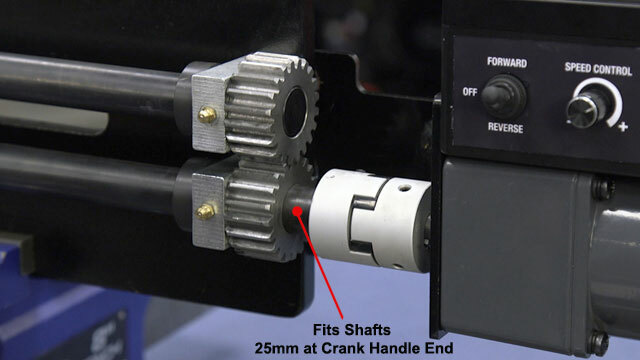 The drive motor fits any hand crank bead roller with a standard shaft size, which is 25mm at the crank handle. The shaft is usually smaller where the dies attach (often 22mm).